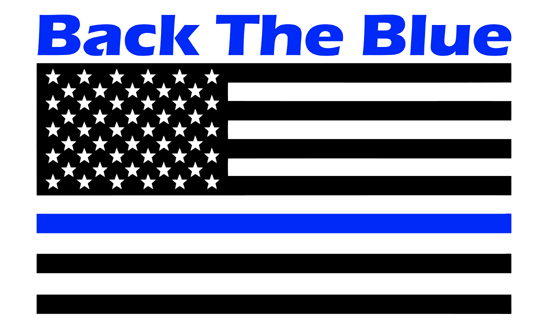 Who would want to stop people from expressing their support and appreciation for law enforcement? But the situation in a Fort Worth suburb in Texas takes the cake. Here’s the thing about gated and “managed” communities: there are all kinds of rules and regulations governing everything from how long the grass on the lawn can be to what types of flags you can fly. Apparently “Back the Blue” flags are unacceptable. Sorry, folks, rules are rules. I’ll sum the issue of why I hate this blue line American Flag and HOAs. How would you like to put a for sale sign in your yard, and the next day both of your neighbors put up a 6′ X 10′ American flag, except instead of stars, it has green marijuana leaves and might even have some writing on the green strip like “If You “? Do you like that change to the American Flag? Think you might get less for your house because of your neighbors’ flags? HOAs got out of control when they were able to auction off an old ladies house for not paying the $100 HOA dues or the wife of a soldier deployed in Iraq during the heaviest combat, home alone with 3 kids, and she missed paying the HOA dues. Their house was seized and sold at auction to pay a $200 debt. They should not be able to take your home without going through a civil trial, not a trial of appointed HOA directors (most subdivisions have an appointed board until 75% is full, then it is elected). Even during a civil trial, they should only be able to collect enough money to cover HOA dues, late fees, and maybe attorney costs (if the judge allows that). Thankfully, most states have stepped up and stop the madness. I know one can argue this flag has First Amendment protection, but that is the point of the First Amendment. It is to protect unpopular speech. Popular speech needs no protection.